This article first appeared at American Lens News on February 20, 2017. Last Friday, North Carolina Governor Roy Cooper rolled out three court appointments and ten nominations for the board of the Department of Transportation (DOT). DOT Board members are appointed to four-year terms with the next meeting scheduled for March 9, 2017. The nominations for DOT Board have been submitted to the General Assembly. There are two funds which supply money for most highway programs in North Carolina: Highway Fund and the Highway Trust Fund. The DOT Board is responsible for overseeing the Highway Trust Fund. These two funds receive revenues mainly from gas taxes, car sales taxes, highway use taxes and vehicle registration fees. 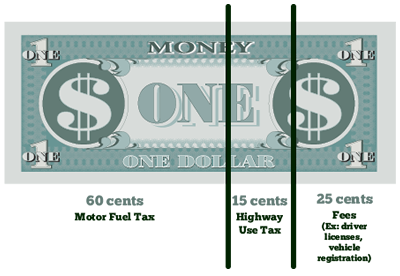 The Highway Trust fund specifically receives money from Motor fuel, alternative fuel, and road tax revenue, as well as a portion of motor vehicle taxes and a part of any toll road revenues. vehicles fees and 20% from the Highway Use Tax on vehicle title transfers. More information on the ten DOT nominees can be found in the Governor’s press release. More information on the court appointments can be found in the Governor’s press release. This entry was posted in Am Lens, POLITICS NC, Roy Cooper and tagged NC Courts, NC DOT, Roy Cooper. Bookmark the permalink.